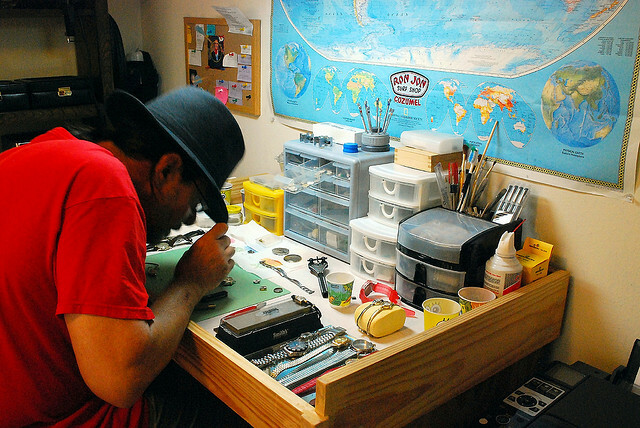 I have the pleasure to present to you an experience Watchmaker who is a member of the Watch Collectors Flickr Club. Jugghead is his profile name at the Flickr Watch Collectors Group. Swatch Lover: How many years have you been a watch collector? Jugghead: About three and one half years. SL: What are you first memories of watches? Jugghead: It’s funny, but I can’t remember wearing a watch as a kid. My first memory of one is the one I wore as a young adult. SL: Do you remember your first watch? Jugghead: Yes. It was a Bulova digital l.e.d. I had to push a button to read the time which was great in the dark because the numerals themselves were lit. SL: How many watches do you own? Jugghead: 40, some of which are ladies’. I usually give those away to women like the maid, my hair stylist, and friends and family. SL: What is your favorite watch brand? Jugghead: There are so many. It’s definitely Swiss and I guess it would have to be Omega because of the quality and accuracy of their mechanical movements. The Speedmaster Pro that I just got is a windup and is more accurate than a quartz if properly regulated. SL: As you mentioned, you are a professional watch maker. How did that come to be? Jugghead: It happened quite by accident. I have a Mathematics degree and have always been able to analyze and fix problems. I was at my parents home one evening when they began pulling all of these vintage watches from their drawers asking me if I thought I could fix them. I told them that I would try. Some of them were quartz and all they needed were batteries. That was easy enough. The rest of them were high quality vintage Swiss and three vintage Gruens with Swiss movements. Also there were two vintage Waltham (American) pocket watches and a piece of junk vintage Illinois cased in white gold. I dove right into the restoration of these watches and fell in love with it. I did exactly what you are not supposed to do. You should practice on cheap watches first and learn all that you can. I did do a lot of reading and learned much online but I royally messed up Mother’s Girard-Perregaux (they sort of leave Rolex in the dust). That taught me a valuable lesson and I began going to thrift stores for watches to practice on. I soon realized that I needed better tools so I began investing in the finest Swiss tools like screwdrivers, tweezers, oil and oilers, hand pullers and setters, case back openers, a Dremel, and rouge for polishing. I was hooked and knew that I had found my niche. This was going to be my livelihood and I wanted to be one of the few that are certified. SL: What did you obtain your watch making training or certificate? Jugghead: The Swiss Watchmakers’ Institute in Neuchatel, Switzerland. I also had to be certified here in the states at Paris Junior College in Paris, Texas. That took only a couple of days. SL: How many watches have you designed? Is there any inspiration for each watch that you make? Jugghead: About fifteen. I don’t have the tools to make cases because they are so expensive. I either order cases or use quality cases from watches that are beyond repair. As far as inspiration goes the ideas usually just flow like writing a song. I am making one for a Mustang enthusiast that has a Mustang rear emblem on the dial. I never get trendy. I want them to be timeless. SL: What makes a great watch in your opinion? Jugghead: Basically whatever makes you feel good to wear. That could be anything from a Timex to a Vacheron Constantine. It,of course, must be accurate and tough with anything but a glass crystal. Sapphire and plastic are the two best choices. SL: What advice would you give to a modern day watch collector? Jugghead: It depends on why they are collecting. If they just like watches hit the thrift stores and flea markets first. You never know what you might find. If they collect a particular brand it might not be so easy. They may have to buy them new, used, or from another collector. If they are in it to make money they are going to lose unless they collect the top four Swiss brands; Patek Philipe, IWC, Vacheron Constantine, and Audemars Piguet, and also those cheap little Swatch watches. SL: What is the best way to store watches? Jugghead: In a watch box with a lid. They have separate compartments with little pillows for each watch. It keeps them from collecting dust. SL: How would you recommend to keep a watch from damage and fast aging? Jugghead: Don’t mistreat it by banging it around. Keep it running. If it’s mechanical have it serviced about every four years by a watchmaker. Never take it to a jewelery store. Service means complete disassembly, thorough cleaning, reoiling the jewels, assembly, regulating the time, a thorough washing of the outside, and polishing to a like new condition. 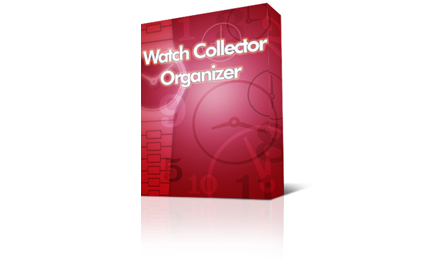 SL: What tools are necessary for a beginner watch collector to make small repairs and fixes? Jugghead: At the bare minimum a good set of screwdrivers ranging in size from 0.5mm to 2.5mm, nine screwdrivers. They don’t have to be Bergeon (the best). Horotec is also Swiss and makes very good ones. Tweezers, a pair of C and a pair of #7. You can get by with economy non-magnetic tweezers but sooner or later you are going to want Dumonts. Someplace to work. The kitchen table with a white pillowcase laid down will do nicely at first. Small containers to put parts in; paper cups, plastic, glass. Just don’t lay parts down. You will lose them. A loupe for magnification. A 7x will usually do well. Here are some sites that I like to buy from; ofrei.com, julesborel.com, eurotool.com, esslinger.com, micro-tools.com, and shopdanaruth.com. Here are sites that have good information; thewatchguy.com, and cwrnh.com. SL: Do you have your own watch shop? Jugghead: My shop is in my home. I rarely see clients since most of my jobs come from watch importers in New York and Florida. It’s mainly warranty work that is subcontracted to me. SL: What plans do you have for the future? Jugghead: To keep doing what I’m doing, what I love, and to keep helping others as much as I can. I believe that true happiness lies in these two concepts. I would also like to travel more. Thank you Jugghead for the great interview!! I’ve actually learned a lot. If you have any questions about how to repair your watch or any other watch questions for Jugghead please leave your comment below.